This is the 100th episode of my podcast. That's quite a milestone! Instead of interviewing someone else today, I thought it would be fun to share what I've learned on my autoimmune journey so far. I developed rheumatoid arthritis in 2012, started blogging in 2013, and started podcasting in 2014. While I never would have chosen autoimmune disease, it has transformed my life in positive ways, alongside the really painful ones. I've come a long way from where I started, and I'm not done learning yet! 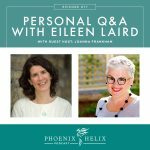 I hope these insights will help those of you facing a new autoimmune diagnosis, and resonate with those of you who have been walking this path for years. Tell me where you agree and disagree, and what lessons you've learned along the way. Healing diets avoid inflammatory foods and prioritize nutrient-dense foods. If you're a beginner and not quite ready to go paleo, start by eliminating packaged foods from your life and cook more real food meals at home. 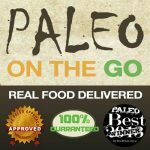 My experience: Rock Bottom and My Experience with the Paleo Autoimmune Protocol. If you're on a healing diet and continuing to experience flares, the answer isn't to remove more and more food. Nutrient deficiencies will develop if you eat too little, and that worsens autoimmune health. Instead, look at other areas that can also impact autoimmune health: sleep, stress, toxins, etc. My experience: I love a 30-day challenge to start a new healthy habit. I did one to regulate my sleep schedule, and I did another to start my meditation practice. I noticed a clear reduction in inflammation as my sleep improved, and the calming and centering effect of meditation helps me in all areas of my life. Epigenetics are the influences that turn genes on or off. It's why we can positively impact our autoimmune health by making healthy diet and lifestyle choices. Once we discover this, we can feel some shame and self-blame for developing autoimmune disease. But it's not that simple. Genes play a role in autoimmune disease as well. And many epigenetic influences happened during our childhood and were beyond our control. Even the ones that were in our control are part of being human. We're not perfect people, and feelings of shame and self-blame are inflammatory. My experience: I needed to forgive myself for not being perfect, and for not making health a central focus of my life until I after I developed rheumatoid arthritis. Your body is not your enemy. Rather, it's trying to protect you. It's simply confused. Surrender and acceptance aren't about giving up. They're about making peace with the moment. It's a place of power for positive action. My experience: Whenever I “fight” a flare, my inflammation escalates. When I surrender to a flare, I feel more peace as well as the strength to bear it, and the flare passes more quickly. Eckhart Tolle Video on Surrender. Michael J. 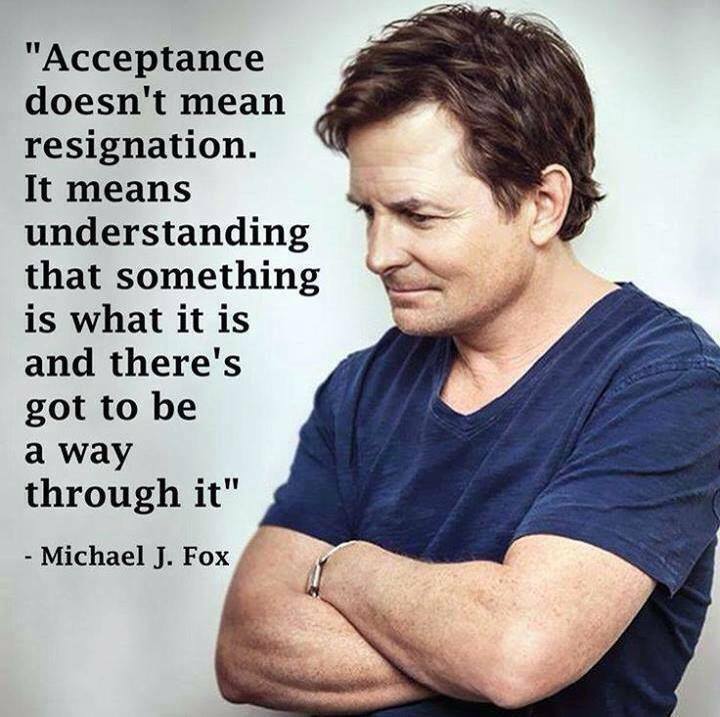 Fox Quote on Acceptance. How to Survive an Autoimmune Flare. First the power: There's a whole field of science called Psychoneuroimmunology, studying how thoughts & emotions affect the immune system. Chronic stress and negative thoughts both set off an inflammatory cascade in the body. Similarly, harnessing positive mind-body techniques can release an anti-inflammatory cascade. Now, the limits: Unfortunately people sometimes exaggerate the power of the mind-body connection, saying you can cure yourself with your thoughts. This is untrue and tends to be disempowering rather than empowering, encouraging people to stay in a state of denial about their illness instead of making positive changes to address their illness and improve their lives. My experience: I've experienced autoimmune flares caused by stress, and also by feeding negative thoughts and emotions. EFT helps me process emotions in a more positive way, without resulting in a flare. Meditation calms me down during a flare and helps me manage stress in daily life. A gratitude practice was essential when I was experiencing my worst RA symptoms. It helped me see outside of myself and feel beauty and hope again. Self-compassion soothes me during tough times. I'm so grateful for all of these tools in my life. A meal planning app that's an amazing time-saver. It can be used on a computer or smartphone. You choose the meals, and it generates shopping lists, defrost reminders, and how much time is needed to prepare and cook each recipe. 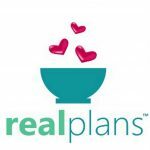 They have hundreds of paleo AIP recipes available, and you can also personalize your meal plan according to your unique food needs, filtering for extra restrictions or adding foods back in with successful reintroductions. They also let you sort by budget, prep & cooking time, and season. Do you live outside the USA? In your settings, you can choose metric measurements. They offer a 30-day money-back guarantee for a no-risk trial. Sign up here. The best doctors: (1) Have knowledge and skills to share, but see you as a partner in the process. (2) Are respectful, compassionate, and good listeners. However, they're not necessarily saviors. They are human, too. (3) Don't make promises they can't keep. They're dedicated to doing everything they can to help you feel better, but don't overpromise. Promises of a cure or guaranteed remission is a sign of a dishonest practitioner. (4) They may not believe diet and lifestyle matters, but they should respect your choices. (5) You may need to meet a few doctors before finding the right one(s) for you. How to be a good patient: (1) Don't go into the doctor's office with a chip on your shoulder, ready to fight. Instead, try to enter the appointment in a peaceful state of mind. Don't punish your new doctor for the behavior of past doctors. (2) Write down your questions in advance. Respect their time, so try to have a clear goal for the appointment and be concise with your questions. (3) Bring someone to the appointment with you to take notes. It's easy to feel overwhelmed and forget what was said. (4) Expect some trial and error in any treatment plan, because every patient is unique and what helps one doesn't necessarily help another. It can take time to find what helps you. (5) Don't expect one practitioner to meet all of your needs. Conventional doctors can help with medication needs. Functional medicine practitioners can help troubleshoot other issues such as gut health or hormone imbalances. Health coaches can help you prioritize and stay motivated in your self-care practices. 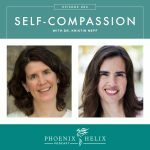 My experience: I had a doctor walk into my appointment with an almost combative, angry attitude toward me. I intentionally stayed calm, peaceful, and respectful, and by the end of our appointment, her attitude changed. She became respectful and compassionate. So, our behavior can sometimes have a powerful impact on these relationships. Do Paleo-Friendly Autoimmune Specialist MDs Exist? Don't compare your behind-the-scenes to someone else's highlight reels. Success stories are designed to inspire, but they are a snapshot in time and don't always include all the work it took to get there, and the setbacks that are often part of the process. A symptom journal helps you keep track of progress that happens slowly. We tend to forget symptoms that disappear and only see the ones that still remain. We convince ourselves that perfectionism is a positive quality about having high standards. Instead, it often carries feelings of shame, self-criticism, and failure for not achieving the impossible. Perfectionism can be an inflammatory mindset. My experience: My life is exponentially better now than it was at my rock bottom with RA, but that doesn't mean it's perfect. I still occasionally have bad days and setbacks I need to navigate. I also still have rheumatoid arthritis. Part of my autoimmune journey has been accepting the fact that I couldn't cure myself, being proud of the progress I've achieved, but loving myself as I am, even during flares. Sometimes in our desire to heal, we try to make too many life changes at once, and this sometimes sets us up for failure. Change is hard, and it takes time and knowledge to integrate. Pacing yourself with one change at a time has a better chance of long-term success. Healthy habits build on each other. When it comes to supplements and functional medicine interventions, it is possible to overtreat and overwhelm your body, kicking off an inflammatory response and/or autoimmune flare. It makes sense to pace ourselves here as well. My experience: When it came to dietary changes, I went gluten-free first, then the GAPS diet, then the AIP. If I had tried to go directly to the AIP, I don't think I would have succeeded. With lifestyle changes, I focused on one at a time, and only set myself a new challenge when the previous one had become routine. I also treated all supplements and functional medicine interventions as experiments – trying just one at a time so I could monitor my body's response. That's how I learned which ones helped, which ones harmed, and which made no difference at all. Is a Healing Crisis Really Healing? In the alternative health and healing diet communities, medication is often feared. Many of us believe the side effects are worse than our disease and refuse to consider it as a treatment option. While not everyone needs medication, if you aren't in remission and are experiencing damage from an autoimmune attack, medication can offer potential benefits greater than the side effects. Diet/lifestyle and medication can be a powerful combination. It doesn't have to be an either/or choice. My experience: I first tried to heal autoimmune disease naturally and was completely closed to the idea of taking medication. It wasn't until 4 years after diagnosis, when I started to experience permanent joint damage, that I reconsidered. It took some trial and error to find a medication that worked for me, but the result was remission – something I never achieved in my 4 years prior. Now, I combine diet, lifestyle, mindset, and medication to live my healthiest life. It's natural when you receive an autoimmune diagnosis to dive into the research and learn as much as you can. We're highly motivated to feel better, and there's a lot to learn about diet, lifestyle, medicine, putting together a healthcare team, etc. But eventually, it's important to broaden our perspective again so autoimmune disease isn't the focus of our whole life. Take time off from the research, make room for joy, and spend time focusing on the world outside of illness. 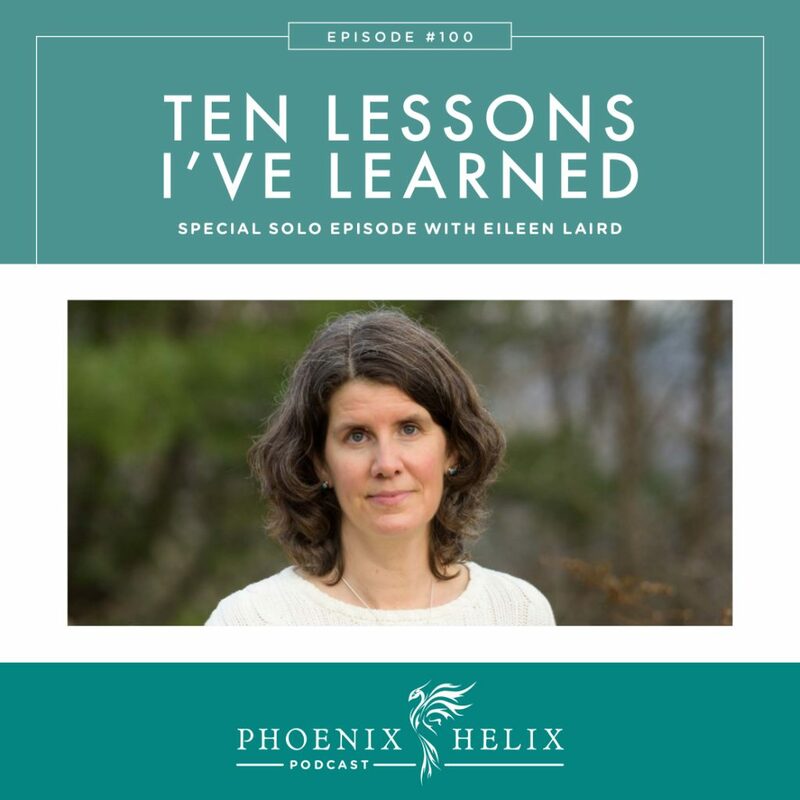 My experience: Since my passion for learning turned into a blog and podcast, this temptation was even higher, and I definitely tipped over into obsession. For a while, I focused on autoimmune health 7 days a week. Finally, I learned some balance, and reclaimed pleasure in other areas of my life. Taking time away from the computer and internet is one of the ways I remember that I am more than my disease.